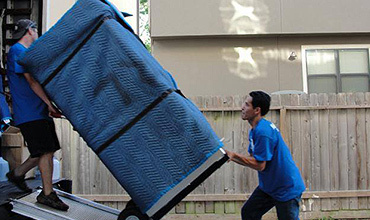 Below you will find information regarding all the moving services offered by T-Bay Movers. T-Bay Movers has been offering affordable residential moving services since 2004 with thousands of satisfied customers and a 96% referral rate. As such, we are ready to assist you on your way to any destination. Whether you are moving locally or long-distance, give Thunder Bay Movers a call if you wish your next move to be a stress-free experience. 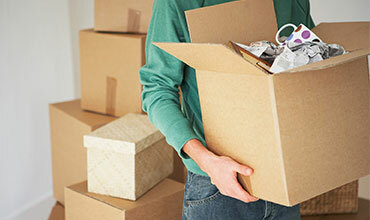 If you require assistance packing your belongings, do not hesitate to call T-Bay Movers. Our professional and experienced team can safely pack your belongings by using materials such as plastic bubble wrap, air cushions, corrugated fiberboard pad, shredded or crushed paper and more depending on the item's specific requirements. T-Bay Movers is ready to assist with your commercial moving needs. Whether you have a single office that needs to be moved to another location, or a retail shop or even a warehouse, give us a call and someone from our team will meet with you to discuss your specific requirements and provide you with a free no-obligation quote on your next commercial move. T-Bay Movers offers secure storage space. During your next move, if you require storage space in order to store your items temporarily, consider asking our team for storage space availability. Our storage is secure, convenient and affordable. It is the perfect storage solution for both residential and commercial moves. Get in touch with us today for a price quote on storage services in Thunder Bay. Trust T-Bay Movers is a moving company in Thunder Bay. We are a family-owned business with a focus on customer-service and customer satisfaction. We love helping our customers move and we do so with utmost professionalism. If you need professional packing services in Thunder Bay, look no further. T-Bay Movers is ready to assist you with all your packing needs. From fragile items to large bulky and heavy items, we’ll give you peace of mind. 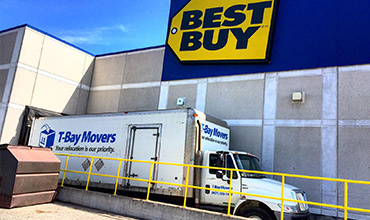 A commercial move is never easy, but with the help of T-Bay movers, it can be! Our trained team will make your next commercial move hassle-free. Discuss your specific needs with our team today and we will be happy to assist. Find T-Bay Movers on social media. Copyright © 2018 - T-Bay Movers - All right reserved.